Next week’s vote in the European Parliament on whether to trigger punitive Article 7 measures against Hungary will be a moment of truth for the EPP political group, whose behaviour will largely determine its outcome, an influential MEP said on Thursday (6 September). 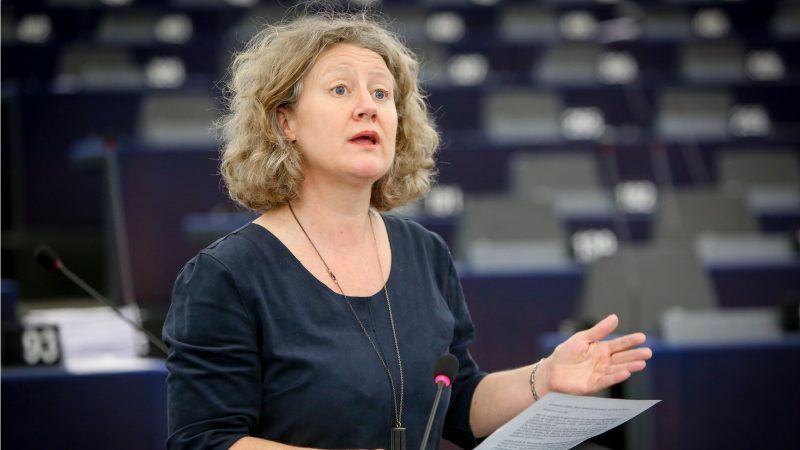 Judith Sargentini (The Greens, Netherlands), the author of the report on whether Article 7 should be activated, has urged hesitant MEPs from the European Peoples’ Party, which includes Viktor Orbán’s Fidesz party, not to vote. The reason for the Article 7 procedure is to safeguard the EU’s core values, which according to the report have been breached by Hungary. A debate with the participation of the Hungarian prime minister will be held on 11 September, followed by a vote the next day, after Commission President Jean-Claude Juncker’s State of the Union speech. If two-thirds of the MEPs vote in favour of triggering Article 7, the Council will be obliged to take over, and ultimately take a decision by a four-fifths majority. The European Parliament will vote next week on a proposal to trigger Article 7 against Hungary. 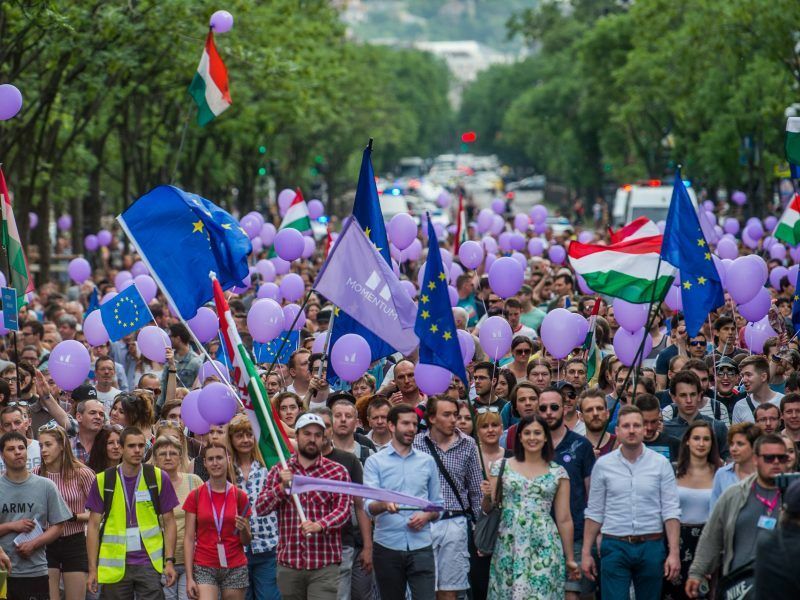 Hungarian civil society leaders threw their weight behind the proposal on Wednesday (5 September), saying it was the last chance to defend democracy in Hungary. Sargentini met with journalists on Thursday and said she expected a tight vote, which would ultimately depend on how the different MEPs from the EPP will vote. Last May, the decision to launch the report was taken thanks to many EPP MEPs abstaining. Crucial delegations from the centre-right will have to make up their minds, Sargentini said, including the German EPP members, adding that she didn’t expect them to vote en bloc. She said it was unclear how the French, Italian or Spanish centre-right lawmakers would vote. The Austrians from ÖVP, although back home in coalition with the far-right FPÖ, would support the report. She explained that for those MEPs from the EPP group who support the report, and believe that they can get away with abstention as a way to show some support without being on the record as a rebel, abstention is the wrong thing to do, because it would just up the threshold for the vote in support of the report to pass. Sarentini said she has been suggesting to colleagues from the EPP, who feel stuck between a rock and a hard place, not to vote, to take they their card out of the voting device, or “go for a cup of coffee”. She said the difference between the Polish and the Hungarian case was that Fidesz, as an EPP affiliate, enjoys a lot of support inside the Commission, unlike Poland’s PiS, affiliated to ECR, where the soon-to-depart UK Conservatives sit. The only political group which looks united against the report is ECR, Sargentini said. Asked if this also applied to the British MEPs, she said that Theresa May felt supported by Orbán in the Brexit talks, adding that this was “very important”. Sarentini explained that if the vote passed the two-majority threshold, Hungary would be brought to the level of Poland in terms of EU pressure to stop and reverse anti-democratic tendencies. Regarding the Commission’s position, Sargentini said the real question was whether the EU executive was at all supported by the member states. 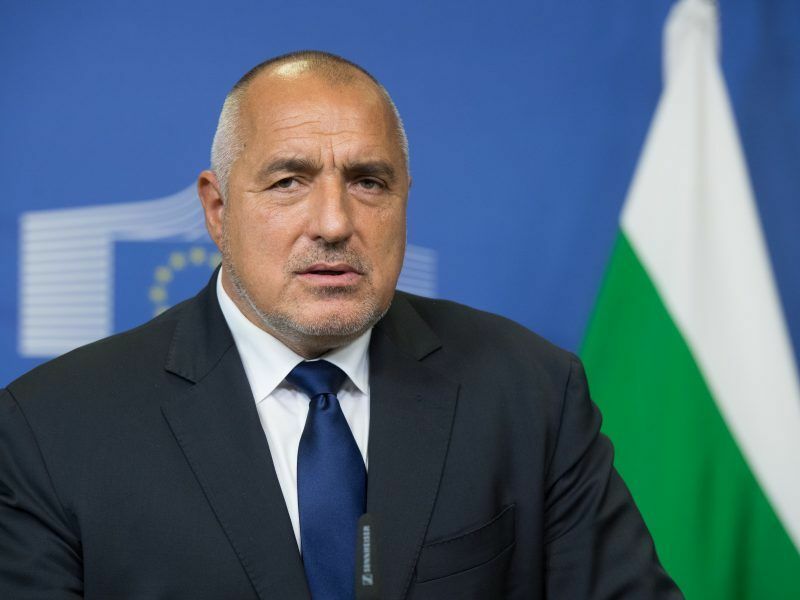 She gave as an example the way the Bulgarian Presidency reluctantly scheduled the debate on Poland toward the end of its stint, adding that this tendency was to continue during the current Austrian and future Romanian presidencies. Reportedly, EPP group chief Manfred Weber, who threw his hat into the Spitzenkandidaten race this week, told Orbán to adopt a conciliatory tone. Yesterday Weber evaded questions about his position vis-à-vis Orbán. Asked by EURACTIV what would happen if Orbán follows Weber’s advice and sweet-talks the MEPs, Sargentini said it would not mean that the policy on the ground would change. “I have colleagues with responsibility who know the difference between policies and a fantastic speech,” the Green MEP said. A Hungarian government spokesperson tweeted that Sargentini’s report was misleading and full of factual errors. This is clearly an ideological war against anyone rebelling against the liberal-Marxist-globalist ethno-cultural suicide cult which currently holds Western society in a tight grip of absolute control. The Western World has become an ideological dictatorship! “This is clearly an ideological war against anyone rebelling against the liberal-Marxist-globalist ethno-cultural suicide cult”. Clearly it isn’t. “The Western World has become an ideological dictatorship!”. Nah, you’re referring to Hungary there, under its FIDESZ-one party-one leader system. This is progrom of hungarian goverment because it stands still agains liberal fashists such as Judith Sargentini who do everthing to destroy EU. You’re a bit confused there, it’s actually V. Orban doing everything to destroy the EU, mistah. Finally, it’s a test whether the EU not only pays lip-service to European liberal democratic values but also walks the walk. Can’t see what difference a speech by Orban in the parliament can make at this late stage, have you seen any of his previous speeches. He is literally preaching for “illeberal” democracy. How more obvious does he have to get? He is willing to betray European values at the drop of a hat. Plus under him Hungary is now one of the most corrupt countries in the EU if not the most corrupt, wouldn’t get in if they applied for membership now.